Please complete the form below and your enquiry will be sent directly to Gansbaai Electrical CC via email. 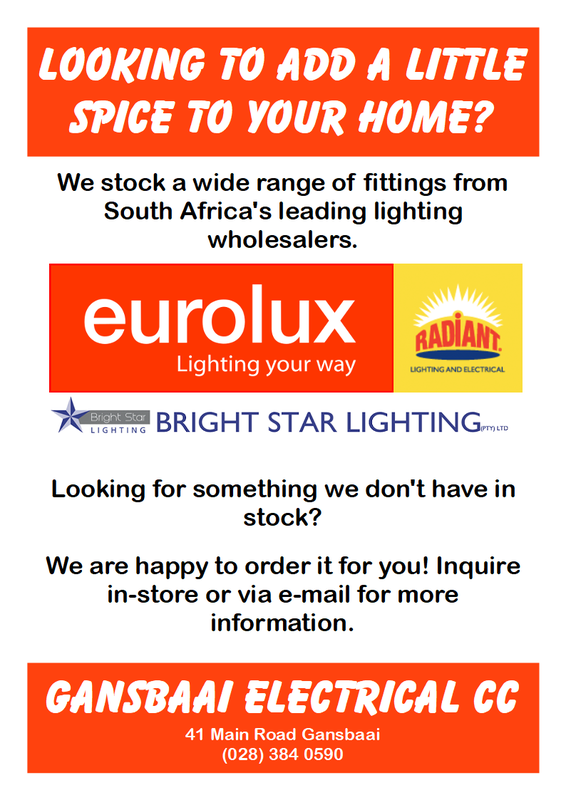 Your enquiry has been sent to Gansbaai Electrical CC. 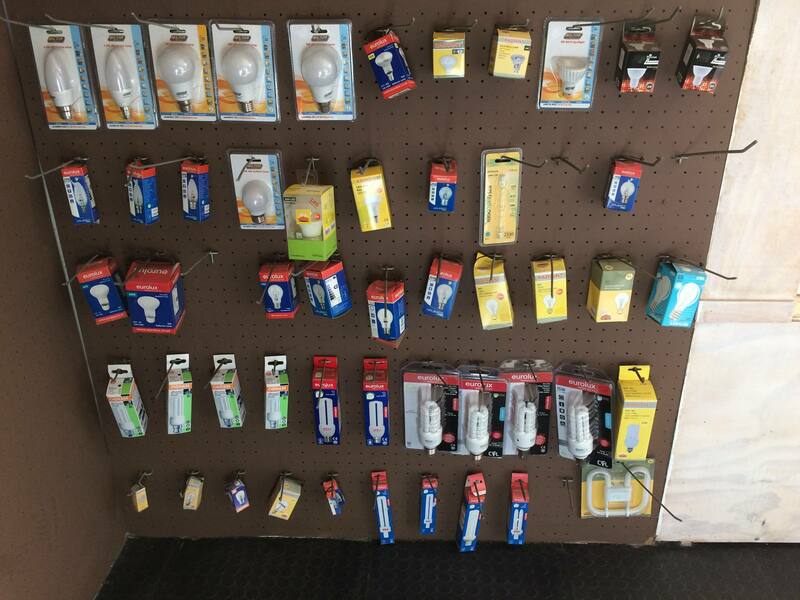 We sell electrical supplies and lighting in the Gansbaai area. Contact us for any quotes and product information! Gansbaai Electrical will be returning to winter operating hours. Change of business hours for summer times.